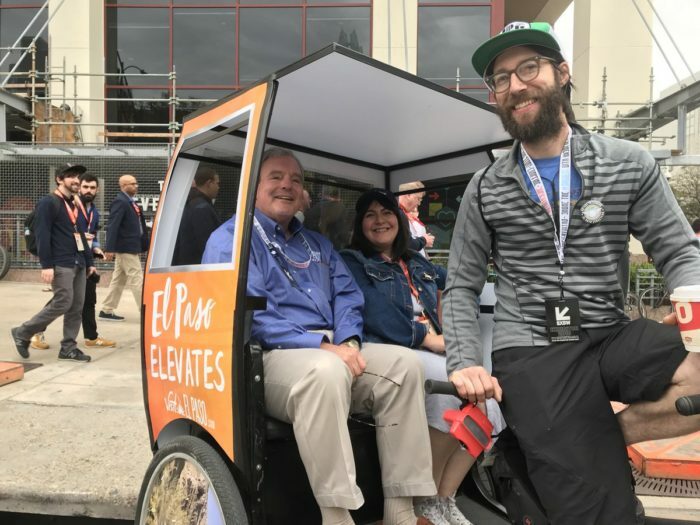 The man riding in the pedicab carriage-turned-gondola is none other than El Paso’s mayor, Dee Margo. You might be thinking, “Pedicab carriage-turned gondola? What?” If you were unaware, El Paso is home to the Wyler Aerial Tramway, thoroughly and enticingly described here by the Texas Parks & Wildlife Department. Let’s back up a moment: In 2017, we partnered with Visit El Paso for SXSW 2017. Back then, I commented that they made the uncommon decision to submit art for 3 distinct ads, all of them wraps. This time, they not only submitted art for 3 distinct ads again, but also for 3 different ad mediums. They requested wraps, signboards, and custom-made gondolas. Sign us up; we love to build stuff. This year’s theme was “Two States, Two Cities, One Region,” celebrating the El Paso, Texas and Las Cruces, New Mexico metropolitan area in particular. and the other 8 pedicabs were wrapped with customized fixtures, split 4 apiece between signboards and gondolas. Fun fact! 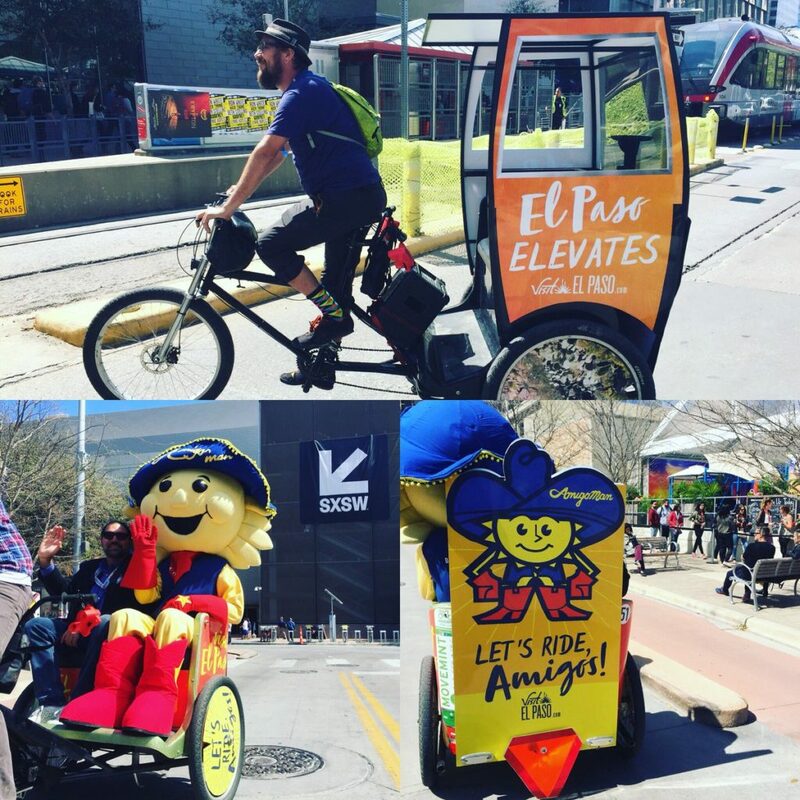 I cannot find the picture, but Mayor Margo wasn’t the only mayor from out-of-town who took a pedicab during SXSW. The other was Mayor Bill de Blasio of New York City.